REYNOLDS, Ga. – In the final results from Silver Dollar Raceway and the NHRA Lucas Oil Drag Racing Series, former Lucas Oil World Champion Craig Bourgeois and reigning Super Gas World Champion John Labbous led the list of winners in the winner’s circle celebration. ’10 dragster, C/ED, 7.379, 177.79. Mike Crutchfield, Montgomery, Ala., ’08 Pontiac G5, SS/DM, 9.156, 135.81 def. Jimmy Hidalgo, Donaldsonville, La., ’99 Firebird, SS/GA, 10.100, 132.91. Gale Pinkston, Shelbyville, Tenn., ’67 Camaro, F/SA, 11.175, 114.95 def. Daniel Young, Palm Harbor, Fla., ’88 Camaro, J/SA, 12.028, 108.42. Tyler Caheely, Rock Spring, Ga., ’05 Undercover, 8.921, 173.21 def. Raymond Miller, Spring City, Tenn., ’17 Miller, 8.926, 167.45. Don Popham, Upatoi, Ga., ’98 Mustang, 10.963, 109.44 def. Jacob Rutledge, Hoschton, Ga., ’79 Mercury, 11.204, 121.11. Scott Gibson, Sanford, Fla., ’12 M&M, 7.297, 183.27 def. Greg Gallagher, Deltona, Fla., ’07 Undercover, foul. 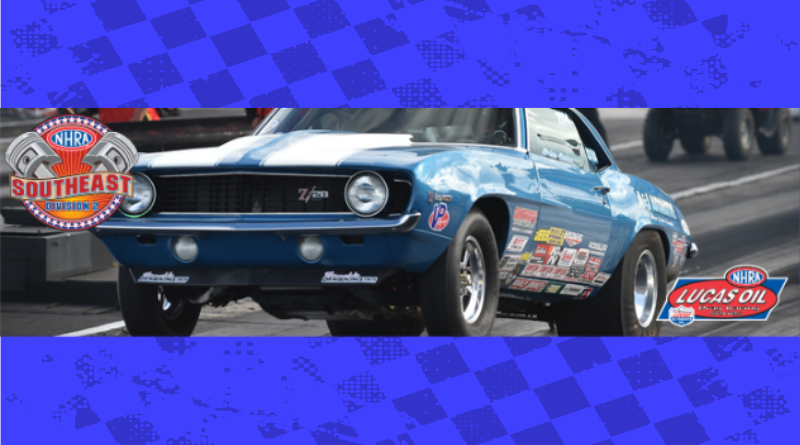 DragChamp is the source for NHRA sportsman racing news, visit daily for the latest NHRA results and Lucas Oil Drag Racing Series updates.